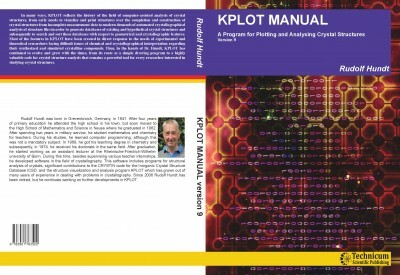 The program KPLOT is used to draw and analyse crystal structures. The approach of the program to drawing structures is similar that of the program ORTEP. Meanwhile most tasks available with ORTEP have been integrated. Version 9 has the new feature that two structures can be handled simultaneously. The pictures created with the program can be treated as simplified “ball and stick” models. The balls are drawn in projection as circles while the sticks which are supposed to symbolize bonds or indicate coordinations of atoms are represented as simple lines or double lines (tubes).